In this first article starting off our blog category dedicated to the analysis of the dynamic centre of the Italian leather industry, Tuscany, we’d like to tell you what the “Polo Fiorentino” is in more detail, and why it is so important not just for us here at Gleni but also for all the other specialists and workers in the Italian leather sector. It’s here in this district that we find the most accredited leather companies in the leather tanning industry, and also the most famous Italian leather craftsmen, who have transformed their deep passion for the Made in Italy product into their life’s work, taking great care over hand-crafting every single product, paying attention to even the smallest detail, to be sure of creating an item to represent the best of genuine Italian craftsmanship with its age-old traditions, passed down from generation to generation. But what is the Polo Fiorentino? What does it mean? Where is it and who are its members? 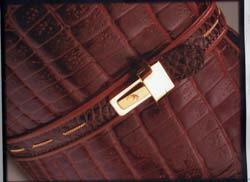 The “Polo Fiorentino” is considered the centre of excellence specialized in producing very high quality and carefully hand-made leather items. It is located in the province of Florence, in an area extending from Scandicci, Lastra e Impruneta, to Pontasieve and, more in general, to Val di Sieve. The “Polo Fiorentino” is renowned in Italy and all over the world for its traditional artisan skills and craftsmanship, combined with the excellent quality of the materials, attention to detail and its ever more innovative style, everything culminating in the creation of a high quality product that symbolizes the genuine Made in Italy to the world. The prestige of the final product is also assured by the proximity of the Polo Fiorentino to another very important leather district, S. Croce sull’Arno which, as well as offering very high quality leathers (including exotic ones) in a wide range of colours and unique and original workmanship, is at the forefront of the latest developments and fashion trends, thanks to the experienced stylists, designers and technicians of the sector. With the advantage of this resource, the craftsmen of the Polo Fiorentino are able to conceive innovative and exclusive products that are always in step with the times, satisfying the tastes and necessities of any customer, even the most exacting. Within the Polo, you find both the big brands of Italian fashion, such as Ferragamo, Gucci and Prada and the medium and small local companies with their own brands, that have been distinguished over the years for the artisanal cut of their products. Besides these companies, there are the specialized suppliers, small companies producing accessories and other components used in the leather sector, and the resellers of specific machinery for the cutting and the working of the leather. Other companies, also belonging to the Polo Fiorentino, offer consulting services for the style and the development of factories operating in the sectors of leather and footwear. Despite the fact that the “Polo Fiorentino” has long been distinguished for the quality of its finished products, as well as for its care in choosing leathers and high quality materials to create an item that really speaks of Italy and of its age-old traditions, we have to point out that, in recent years, this sector too has (like many other sectors of the Italian and international economy) suffered from the severe economic recession and merciless international competition (especially from the Chinese and Eastern-European markets), which have really put a strain on many of the small and medium-sized Italian companies. 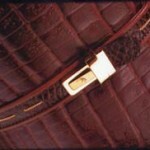 However most of the producers and craftsmen haven’t stood around passively watching the slow decline of the Polo Fiorentino and of the Italian leather sector, but have immediately joined forces to look for valid countermeasures to fight against this crisis, focusing their attention on luxury leather itself as the essential factor to personalize and qualify the look but at really competitive prices. Their “battle” has had the primary goal of making public opinion aware of the importance of the quality and of the certified Italian origins of our product, also taking advantage of the cooperation and initiatives promoted by actors and public figures of our country and, in particular, of those from Tuscany, who have warmly supported the promotion of these local products and favoured the innovation of enterprise. Thanks too to their support, many important initiatives have been promoted assuring the authenticity of the genuine Made in Italy item (thanks to the use of certifications attesting the quality of the leather chain). Small and medium companies have put a lot of emphasis on improving their brand awareness and communication, paying attention to technological innovation and the development of a distribution network, thus keeping in contact with the final market. The high quality of the workmanship must be assured at all the levels of the production process in order to show the company to its best advantage in terms of credibility and image, consolidating its competitiveness in the market. Just as the leading companies in the leather sector have done much to combat the crisis, offering an unique and exclusive product, that is the genuine essence of Made in Italy, so too the supplier companies have given and, still today, are giving their valuable contribution to the development of a more innovative production process, thanks to technological and IT investments both for the preparation and cutting phases of production. The main task of the Polo Fiorentino towards which the whole district has worked and is working very hard still today, is to promote the innovation of the traditional business models… and looking at the high quality of the finished products, we can certainly affirm that they are carrying forward this project with excellent results! Don’t you agree with us?